Electro Fab Hoists & Cranes Mfg. Co.
Specification for Electric Wire Rope Hoistand factory regulation requirements. 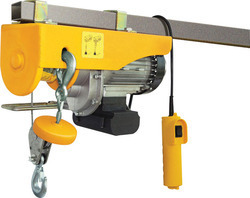 The Hoists can be electrically operated in all movements or hand operated for cross travel motion. 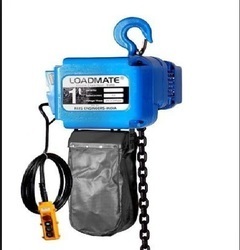 In compliance with international quality standards, we are dedicatedly instrumental in providing an impeccable assortment of Freight Chain Hoist as per the clients’ specifications.